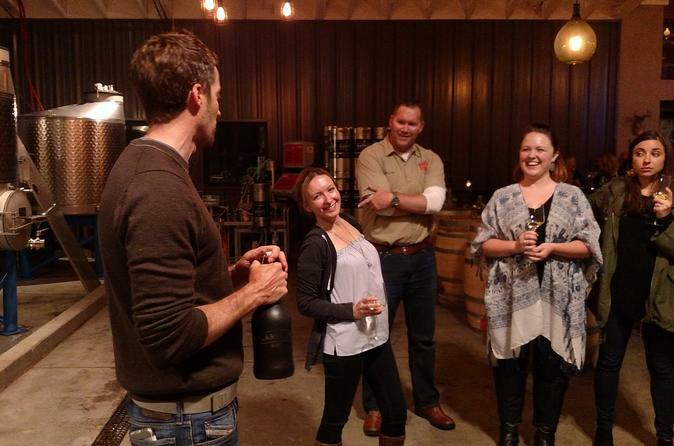 Get out of the hustle and bustle of downtown and a join this 4-hour small group tour that visits three wineries in the comfort of an air-conditioned minivan in southwest Denver. Each venue offers something different and will surely satisfy your thirst for wine and fun. Flights are included at each winery. Additional discounts will be offered on bottles and glasses of wine and carboys. Meats, cheeses, and other appetizers can be purchased at each winery as well. The tour meets inside the Brew on Broadway (The BoB) and departs at 6:00pm. You will spend about 45 minutes to one hour at each of these wineries: Legacy Vineyards Winery and Tasting Room, Waters Edge Winery, and Carboy Winery. Flights are included at each winery. During flight tasting, be ready for interesting information and a lesson on tasting from the experts. Each winery offers discounts on additional bottles or glasses of wine. Each winery offers something special so be ready to quench your thirst and enjoy three different places that lead into a special, great night for you and your friends. When the tour is complete, you will return to the Brew on Broadway. There will be water and snacks on the bus.